If you’re like many people, when you plan to spruce up the look of your home you don’t consider your yard as an entire room that acts as an extension to your house. Outdoor light fixtures can showcase both your house and yard. You can go beyond having a light bulb in your doorway. Outdoor light fixtures can make your yard a place to entertain or become a Zen-like area to wind down in after dinner. Outdoor light fixtures create a stunning landscape you can enjoy day and night, but before you start shopping for lighting there’s a few things you must do first. Before you invest in outdoor light fixtures, consider what purpose(s) you want the illumination in your yard to have. For example, do you want a soft relaxing mood to help you prepare for bed; or do you have a dark garden or bench in the shadows that you want to light up for security. Do you want a path that leads to the garden, so you need outdoor light fixtures to mark the way? Do you have a feature in your yard such as a water fountain you want to draw attention to as well? Once you know the role you want your outdoor light fixtures to play, draw a simple picture of your yard. It doesn’t need to be fancy just mark where your lights are now, trees, garden, decorations, and shrubs are; then measure or estimate how high the objects are in your yard. 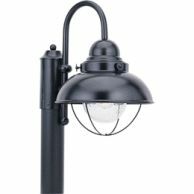 When choosing outdoor light fixtures to light up your home and yard, keep in mind that some items absorb light while others reflect light. Match the reason you want lighting in certain areas with the type of fixture that will achieve the look you envision. If you have a dark bench near a path you might want a pole type light fixture. If you want a relaxing ambiance you can place lighting under shrubs. If you have a pond you can use soft lighting around its outer edge. How can you make the best use of your yard? One way is to make your yard functionable in the evening. If you’re like most of us, then you’re busy from morning until the sun goes down and you can’t enjoy your yard until its dark outside. When you add outdoor light fixtures, you make that space accessible day or night. Now that you’ve put a lot of thought into how you’re going to make your home look great with outdoor lighting, it’s time to set a limit. When it comes to home decorating creating and staying within a budget is the easiest way to make the process fun and stress free. At Crescent Harbour we take pride in offering our customers beautiful outdoor lighting fixtures at the best prices. To see our wide selection of outdoor lighting you can visit our website.